Debbie Kennett, DNA and Social Networking: A Guide to Genealogy in the Twenty-first Century (Gloucestershire, UK: The History Press, 2011). Disclosure: I have not met Debbie Kennett in person although we have corresponded electronically a few times. I have learned from her postings on DNA mail lists we both subscribe to. I will refer to her formally using her surname "Kennett" so there will be no confusion over our shared given name. I like this book because it confirms many of the statements and opinions I express during presentations on using DNA for genealogical purposes. It's always nice to have recognized experts in the field support your opinions. The most-used books on genetic genealogy were published over five years ago. During that time great advancements have been made in our knowledge of DNA. Those five year old books rarely even mention autosomal DNA (atDNA) testing, much less discuss how to use it. There are a lot of articles, websites, and blogs that discuss autosomal DNA and the advancements in Y-DNA and mitochondrial DNA (mtDNA), but no book I have seen has compiled current information into one print publication. Debbie Kennett's book fills that need for beginners and provides many links to additional information for more advanced genetic genealogists. Combining DNA and social networking topics in one book may seem odd, but social networking sites have become a must-use tool for active genealogists. The social networking section of this book covers the basics of social media and gives tips on finding and approaching potential family members for the purpose of DNA testing or genealogy connections. For the non-techie genealogist, this book is a great introduction not only to Facebook, Twitter, and Google+, but also covers blogs, Wikis, and other electronic means of communication. Even if you don't plan to use social media, this book will help you understand what is meant when others discuss these tools. I consider myself fairly knowledgeable both on DNA and technology. I learned some things about both subjects as I read this book. While there is an understandable slight bias for the UK in the websites listed, most of this book will be indispensable to American and other genealogists as well. Major U.S. sites are covered as well as UK and Irish sites. Genetic testing increasingly looks set to become an integral part of everyday genealogical research in the years ahead. A decade ago, a DNA test was seen as something exotic and tangential to the main work of the genealogist, which was visiting archives and transcribing the data in them. Today it's possible to run a parallel DNA project and to use the DNA results to confirm we have identified the correct people within each line and tree. In an easy to read and understand manner, Kennett leads the genealogist through the steps necessary to use DNA results to confirm our paper trail. She has been involved with genetic genealogy since 2006 when many genealogists did not yet know DNA could be used for genealogical purposes. Enough background is given to help the reader understand the current state of genealogical testing and how far we have come in a decade of genetic genealogy. Kennett divides the book into two sections that help the lay person understand the science of DNA for family history and the technical tools genealogists use today. The basic principles — covering the basics of DNA testing of all types, the limitations of using DNA, how to determine who to test, how to choose a testing company, and the mechanics of taking a DNA sample. Surnames and the paternal line — covering Y-DNA tests and surname projects including a section on the possible reasons a mismatch may be seen when a DNA match was expected, geographical projects, adoptions, recommendations on how many markers to test, how to understand the test results using both tools from the testing companies and tools genetic genealogists have made freely available online, and public Y-DNA databases. Before surnames: haplogroups and deep ancestry — covering the DNA tests and results that tell you about your ancestors before a genealogical timeframe, tens of thousands of years ago. Some of the tests described here may not help today with genealogy, but the information being discovered could contribute more than we realize to both genealogy and an understanding of the history of humans. Each researcher should understand these tests so she knows how the results can be used and the limitations. The maternal line: mitochondrial DNA tests — covering how to use mtDNA for genealogical purposes, mtDNA projects, understanding your test results, deep ancestry of the maternal line, and public mtDNA databases. Cousins reunited: autosomal DNA tests [my favorite section] — covering atDNA which can be used to research all of our ancestral lines, not just the paternal and maternal lines on our pedigree charts. This is one of the first books on how to use the atDNA test results for genealogy. Kennett also covers the X-chromosome in this section with simple charts showing the ancestors from whom a male and female child might have inherited an X chromosome. This understanding of DNA inheritance patterns is critical to using DNA results for genealogical purposes. Kennett uses examples from both companies that have been offering atDNA tests for some years: 23andMe and Family Tree DNA. She also explains the process each company uses to allow contact between DNA matches. Setting up and running a DNA project — covering information a DNA project manager needs to know about starting, marketing, and managing a project. Introduction — covering interesting statistics on the use of social media and subjects that should be considered by users of these tools. Traditional genealogical networking methods — covering family history societies, mail lists, message boards, forums, and other tools most genealogists have probably used. The section on mail list etiquette should be periodically reviewed by all computer users to remind us of good e-manners and how to get the best responses to our queries. Genealogy social networking web sites — covering the history and pros and cons of Genes Reunited, several online tree building sites, GenealogyWise, and Lost Cousins. General social networking web sites — covering the history and pros and cons of non-genealogical networking sites such as Friends Reunited, Facebook, Twitter, LinkedIn, MySpace, Bebo, and Google+. Blogs — covering what a blog is, how to find one, RSS feeds to make blog reading easier, and writing your own blog. There is a long, useful list of interesting blogs and blog tools. Wikis — covering how wikis work, Wikipedia, genealogy wikis, the International Society of Genetic Genealogists (ISOGG) Wiki, family tree wikis, and research wikis. Even tech-savvy genealogists may find a few links never before clicked on. Multimedia — covering photographic and video sites, podcasts, webcasts, and webinars. Collaborative tools — covering tools a genealogist can use for research and when communicating with other researchers. DNA websites — listing MANY links to sites to help a person understand genetic genealogy. Testing companies — listing the DNA testing companies with brief descriptions. DNA projects — listing several types of DNA projects. Surname resources — listing links for surname resources. CeCe Moore, "Debbie Kennett's 'DNA and Social Networking: A Guide to Genealogy in the 21st Century', article, 8 November 2011 Your Genetic Genealogist blog (http://www.yourgeneticgenealogist.com/2011/11/debbie-kennetts-dna-and-social.html : accessed 28 November 2011). Emily Aulicino, "DNA and Social Networking by Debbie Kennett," article, 9 November 2011, dna - genealem's genetic genealogy blog (http://genealem-geneticgenealogy.blogspot.com/ : accessed 28 November 2011). I just got my current copy of Beyond the Bytes, digital newsletter of the Portal to Texas History at the University of North Texas (UNT). You can read the entire newsletter online. The newsletter includes links to subscribe and to join the Portal to Texas History on Facebook. Warning: Personal opinions included below. CeCe Moore's Your Genetic Genealogist is one of my must-read DNA blogs. Yesterday she wrote "23andMe changes terms for expired PGS subscription customers." If you have tested at 23andMe this is a must-read for you, too. 23andMe was formed to do DNA testing primarily to study medical issues. They discovered genealogists were also interested in the data. Two years ago 23andMe ran a good sale and many genealogists, myself included, had tests done. We were interested in autosomal DNA as well as Y-DNA and mitochondrial DNA (mtDNA) tests offered at that time by companies doing DNA testing for genealogical purposes. After the sale 23andMe pricing was a little steep for many genealogists. The company then offered a low initial price with the addition of a monthly maintenance fee. You can see in CeCe's blog what the company told her about how a tester could retain access to their data even if they stopped paying the monthly fee. Apparently the policy of 23andMe is changing and may leave many customers in the lurch. The section in my DNA presentations where I caution a potential tester to understand what they are paying for will certainly change to reflect these new problems. The section where I tell people to download their raw data will now be emphasized more. I tell testers to download their raw DNA data as soon as it is available. This protects you somewhat from changing company policies and companies that go out of business. A person would still have to know how to interpret the raw data—or find someone who can do so. But at least you have a copy of the data no matter what changes there are in company policy afterwards. If a company adds data to your profile you may need to download an updated copy of the raw data. But always, always keep a copy of your current raw data in your possession. Like others, I am no longer comfortable recommending 23andMe for DNA testing for genealogical purposes. I understand that sometimes changing environments and regulations can cause a company to change policies. But to make such drastic changes without first notifying customers is a customer relations no-no. And for some time now Family Tree DNA, a company formed for and by genealogists, has been offering an autosomal test to go along with the Y-DNA and mtDNA tests they pioneered. Family Tree DNA (FTDNA) has one of the best reputations in the field for customer service. The owners, Bennett Greenspan and Max Blankfield, cheerfully invite customers to contact them with any questions, suggestions, or comments. They listen to what their customers say and enhancements the project administrators ask for. As far as I know, no other genealogical testing company has the loyal following that FTDNA has. And the company invests heavily in scientists and equipment that allow new discoveries in the usefulness of DNA for genealogical purposes. Do a search for the "Walking the Y" project on the Family Tree DNA website to learn about one project they invest in. Ancestry.com is also offering DNA tests now. They have not been doing so long enough to build a reputation yet. In the opinion of many genetic genealogists, Ancestry misrepresents the number of markers they test by individually counting each section of multi-value markers. It takes a long time to build a DNA database, for it to be large enough to make meaningful comparisons, for a company to have knowledgeable customer service representatives to answer DNA questions, and to get a reputation that encourages others to recommend your company. No other company has a larger database than Family Tree DNA. For genealogy the most important part of DNA testing is to be able to compare your results to many others to find potential family members. With facts like these it's difficult not to recommend Family Tree DNA over the others for genetic genealogy tests. But even at FTDNA, I download and save a copy of my raw data so I always have it on my computer. If you haven't saved your raw data after DNA testing, go do it now. There should be a link on your personal page at the DNA testing company that allows you to download raw data. If you can't find it contact customer service for help. I just saw an update on CeCe's blog — 23andMe has created a place for customers to voice their concerns - see http://bit.ly/uk6xqk. The title on this Google Docs page linked to is "PGS Subscription Feedback." PGS stands for Personal Genome Service. If you go directly to this comment page there is no indication whatsoever this is for comments to 23andMe. You'd think 23andMe would make sure you know that is who the comments are going to in case you don't know what "PGS Subscription" stands for. The following announcement was received from Diana Houston, Assistant Director, Information Services, Archives and Information Services Division, Texas State Library and Archives Commission (TSLAC). The Texas State Library and Archives Commission will host a Genealogy After Dark event on Friday, January 20, from 6:00 p.m. until 10:00 p.m. The State Library will close at 5:00 p.m. and open at 6:00 p.m. for Genealogy After Dark participants. The building will be locked at 7:00 p.m. and no participants will be admitted after that time. Parking is usually available in the Capitol Visitors Parking Garage at 1201 San Jacinto, one block to the east of the Zavala Building. There is no charge for visitors who arrive after 5:00 p.m. If you have questions, please do not hesitate to contact us at geninfo@tsl.state.tx.us or 512-463-5455. I traveled to Austin from East Texas just to attend an earlier Genealogy After Dark program and highly recommend it. You have immediate access to enthusiastic archivists who are giving up their evening to assist you with your research and teach you about the records they preserve. Take advantage of this and tell your legislative representatives how important TSLAC is to historians and genealogists. I couldn't locate the registration form online. Maybe they don't post it since the attendance is limited to 30. But you can call or contact them using the information above and find out if slots are still available. You can find a list of their genealogical resources online here. Don't miss the old-fashioned card catalog in the Archives section if you attend. Many of the names in historic documents have been indexed in the card-catalog which is not available online. You may find an ancestor indexed in a document you never knew they were named in. Henry Everett Johnson (1871-1923) - East Texas Road Builder? Yesterday I wrote about the online exhibit on the construction of Texas highways at Texas State Library and Archives Commission. I mentioned my great-great-grandfather who built roads according to family stories my grandmother told me in the early 1990s. 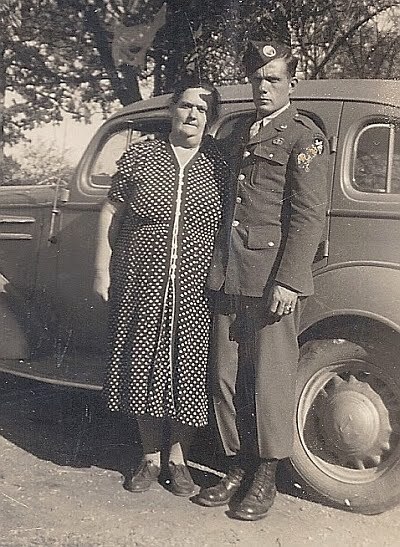 ... my grandmother told me her grandfather built roads in East Texas, Arkansas, and Louisiana, and that he died while working on a road in Arkansas when a snake spooked his horse. Grandpa fell and was killed, perhaps from a broken neck, when the horse reared in panic. My grandmother was only seven when this happened so I am not sure how much she remembered or how often her memory may have been refreshed by discussions at family gatherings after she grew up. Her memories of getting soaked while traveling from Dallas to Smackover, Arkansas, in an open-top vehicle in a rain storm in August 1923 seemed pretty vivid. 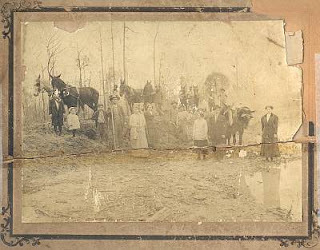 I have an old 1910–1923 photograph of this great-great-grandfather with family and crew members standing in a wet, muddy, grassless area surrounded by trees. This looks like it could be a road building crew of the time or maybe they are just pulling felled trees to the railroad line for transport. It's hard to tell from the image. The crewmen are each holding a team with yokes around their necks and ropes and chains leading to the ground where there are large squared-off timbers—maybe to grade a dirt road. I'd love to hear from anyone who knows the history of road building or logging who can identify what these rigs may have been used for. The squared off timber argues they are not pulling felled trees for transport. 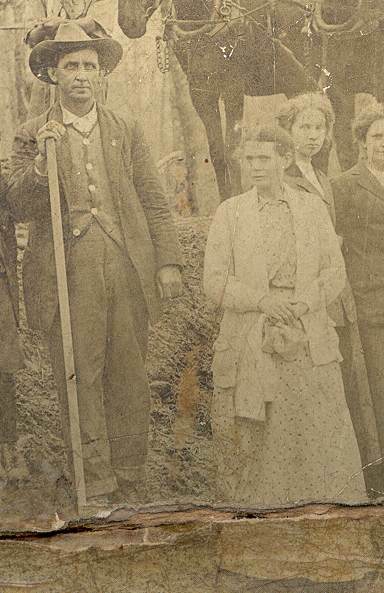 Here's a closeup of great-great-grandpa Henry Everett Johnson (1871–1923) and his wife Emma Eugenia Ryan Johnson (1868–1950) cropped from the image above. It is so strange to see I am several years older than the 52 years of age Henry was when he died. We tend to think of our ancestors as being older than us and often forget they were once children themselves. Henry's life span dates are documented on his tall Woodsmen of the World headstone at Ryan Chapel near Diboll, Angelina County, Texas. 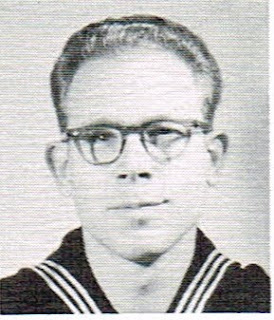 Emma's are documented on her Texas death certificate, number 6051 (1950), available from the Texas Department of Health, Bureau of Vital Statistics, Austin, and now in several places online. Emma is buried next to Henry, but the only marker on her grave is a small, flat stone barely big enough for the initials "E. J." inscribed on it. If you visit the cemetery when the grass is high or when there is snow you'll miss her stone. Emma is not named in the compiled list of persons buried in the cemetery; the list only includes those with names on stones. Maybe her tiny stone with initials was missed when the cemetery was surveyed or the compilers didn't list stones with initials only. Somehow cemetery records were lost or not carefully kept and when the cemetery association was formed in the 1960s apparently no one knew she was buried there. One of my remote cousins was active in the cemetery association for many years and she did not know where Emma was buried in the cemetery the cousin spent much of her life preserving. The photograph of what I think is the road crew is in my possession since I saved it from the trash bin. After my grandmother's death my Mom and her sisters started to throw away about 200 of my grandmother's photos they couldn't identify. Talk more about the family history to your relatives while they are still here on this earth. Once they are gone you can't get answer to your questions. Tell everyone to ALWAYS give you any photos instead of throwing them out without you seeing them. In addition to the road crew photo I rescued, I have identified over half of the people in the other 200 photos my Mom and aunts were going to trash. Several were images of my great-grandmother as a child and other treasures. Pay attention to every small detail in those old photos. They tell you things. Just because someone isn't listed in the cemetery book or you can't find a headstone doesn't mean they aren't buried there. Look in all seasons and right after the cemetery has been mowed. Who knew "reasonably exhaustive" research might mean visiting the cemetery in winter when the grass is dead and there's no snow on the ground? Consider the entire life of your ancestor—the childhood, the teenage years, young adulthood, and the middle and later years. Grandma and Grandpa weren't always the white-haired elders we most remember. What was their life like when they were young? 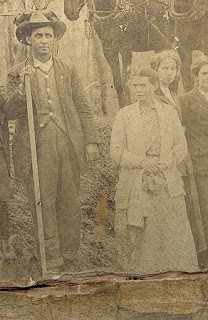 The Texas State Library and Archives Commission (TSLAC) has a new online exhibit. One of many freely offered on their website. "Put the Money Under the Rubber: The Texas Highway Department Transforms Texas 1917-1968" is a new online history exhibit from the Texas State Library and Archives. Historians have called the construction of the Texas highway system one of the greatest building projects in world history. Now history lovers, engineering buffs, and travelers alike can discover this epic story with TSLAC's extensive new online exhibit. Dozens of vintage photographs and documents from TSLAC's collection of Texas Highway Department project files tell the story of Texas's journey from frontier backwater to transportation power player. In developing this 1943 map, planners used a ratio of one car for every three Dallas residents, creating a plan to accommodate between 190,000 and 222,000 vehicles by 1970. The actual number proved to be closer to 367,000. Also note the estimated "possible limits of future urbanization." Having lived in Dallas for my first thirty years and visited almost every year thereafter, I can tell you that by the early 1960s Dallas had exceeded the estimated possible limit of future urbanization. By 1970 urbanization would have been off the map (no pun intended, but I'll take it). I can estimate where my childhood homes were situated using the roads and waterways illustrated on the map even though residential streets are not shown. My original interest in this exhibit (and in other road building history and records) was because my grandmother told me her grandfather built roads in East Texas, Arkansas, and Louisiana, and that he died while working on a road in Arkansas when a snake spooked his horse. Grandpa fell and was killed, perhaps from a broken neck, when the horse reared in panic. 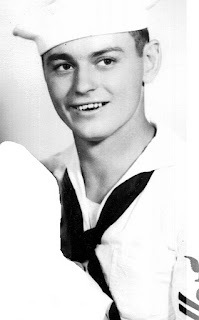 My grandmother was only seven when this happened so I am not sure how much she remembered or how often her memory may have been refreshed by discussions at family gatherings after she grew up. Her memories of getting soaked while traveling from Dallas to Smackover, Arkansas, in an open-top vehicle in a rain storm in August 1923 seemed pretty vivid. One of my back-burner to-dos is to find out more about who this grandpa worked for and try to find records about this work. Many of the family members worked for timber companies in this piney woods area of East Texas where they lived most of the time. I've never known if Grandpa built roads for the timber companies or for county or state governments or maybe even other companies. While viewing the exhibit I received clues of several sets of records I can now search. While viewing the exhibit I learned general history and background information that helps me understand my family history better. Viewing something like this exhibit with your older relatives at a holiday gathering may generate some wonderful family stories. When I saw a photo of the Dallas-Fort Worth Turnpike it reminded me of my uncle who would speed down the road then pull over and wait. When the toll booth clocked his arrival time they could not tell he had driven well in excess of the speed limit between the toll booths. We were always told you could get ticketed for speeding based on the timestamps at the beginning and ending toll booths. I'm not sure if that was true, but obviously my uncle believed it was. I wonder when we'll discover the gene that makes some people incapable of driving at the posted speeds? Thanks to TSLAC I have more interesting reminiscences to add to my family narrative before I forget again and I have potentially productive record sets to add to my to-do list. Update 20 Dec 2011: See "Henry Everett Johnson (1871-1923) - East Texas Road Builder?" for more on Grandpa Henry and photos of what I think is his road crew. While I was away from my computer having fun with visiting family, a crisis in the genealogy world has been averted, or so it seems. For some unfathomable reason the RootsTech planners decided they would not allow book vendors in the exhibit hall even though they had actively solicited those vendors a few months ago. Very bad form—unfair to the book publishers and to the thousands of us who buy those books. Leland Meitzler of Family Roots Publishing Company posted about this decision on December 10th. He added an update on December 12th that RootsTech had changed their mind and will allow some book sellers. Also check out Amy Coffin's We Tree RootsTech by the Book and Thomas MacEntee's GeneaBloggers My Genealogy is Rooted in Books articles on this subject. All have many interesting comments following the initial posts. I certainly hope RootsTech allows all of the book publishers to exhibit. If they are not going to allow book publishers now and in the future, RootsTech will not be on my must-visit list of conferences. Most of us can't afford to attend every conference. We have to pick and choose. In addition to the location, speakers, and the learning experience, the exhibit hall is an important part of my considerations. I tend to buy a lot of books when I drive to the conference. Even when I don't buy a lot of books at the conference, I get a chance to look at the books and place an order later knowing what I will be getting. This hands-on experience is especially important when there are multiple books on the same topic and I can only afford one of them. I am not a technophobe who resists changes in technology. In my previous "life" I was a computer engineer. Even in that life most of my learning was done from books and technical papers written by experts. Books are an important adjunct to hearing a good speaker teach. I've tried an e-book reader and love PDFs for some things. Using the PDF search feature on a reference book like Evidence Explained is a life saver. Being able to take lots of recreational reading in a Kindle on a trip sure saves on luggage weight. But often I want a printed book I can easily fan the pages on to see what is there and what I might need that I don't know is there until I see it. Browsing is NOT easily done on an e-book reader and don't even think about looking at the endnotes—it's even more frustrating than it is when having to use two bookmarks in a printed book, one for the text and one for the endnotes. I won't be registering for RootsTech 2013 until I know what their plans are for exhibitors. But I definitely will be going to FGS 2012 in Birmingham and NGS 2013 in Las Vegas. I'll be driving to both so have lots of space in the car for books. I recently blogged about my love-hate relationship with a genealogical subscription service. I have the same relationship nowadays with Google. I have loved Google since I first saw it back in the days before most people had ever heard of the World Wide Web. Working in a computer engineering and design center gave exposure to a lot of technology before the general public learned about it. Google was so much better than the directory structure Yahoo offered at the time (mid-1990s). Google is still better, but, like so many organizations today, Google seems to be working to attract more non-tech users at the expense of attracting highly technical users by offering unique and customize-able tools. Today Google can frustrate tech-savvy users as it forces changes that are more useful to the non-tech-savvy and drops tools we have come to depend on. I am a long-time user of Google Desktop Search now looking for a replacement that is better than the built-in search in Windows. Yes, I know Windows 7 search is better than prior versions, but it still lacks features I need. I am also evaluating continued use of other tools from Google, Mozilla, and commercial vendors. FreeCommander has been my file management tool of choice for several years and is quickly becoming my desktop search tool of choice, too. The disk search and dual file display in NoteTab Pro is also useful. For those of us into geeky features, both offer search and file comparison features as well as some options useful to programmers (support for regular expressions and easy implementation of tools like Perl). For years I have said the $20 I spent on NoteTab Pro is the best $20 I ever spent on software. Both NoteTab and FreeCommander offer free versions with small costs to access more feature-rich versions. More on those tools in a future blog post. Some of Google's new search settings and selection menus make it harder to access the options that made Google more useful than other sites. YouTube is way down on my list of priorities, but is on the first menu of offerings in Gmail's new pop-up menu design. Reader, Calendar, Books, Scholar—my most-used tools—now require several additional clicks to get to. Don't get me wrong. I love that Google still offers these tools. I hate that they are harder to get to now except when I use my own personal link list instead of using Google's menus. How can we can convince Google the big, giant, black box drop-down is NOT an improvement over the nice, clean display screen that has always been Google's trademark? What were they thinking? searches for the words "dna" and "genealogy" within five words of each other in a document. This can be especially useful when you remember seeing a phrase, but can't remember the exact wording. For technical searches, more control is better. The hit list for the above search is similar to a search for "dna genealogy" without the AROUND option, but is sorted differently. I learned about AROUND(n) while reading the Law Librarian blog which also pointed me to the Google Guide website which looks very useful. Thanks, Law Librarian. As genealogists, we devote most of our reading time to genealogical and historical sources. We can forget how much we can learn from other disciplines. With the use of DNA testing in genealogy, science and medical sources are of interest even to genealogists who didn't devour Scientific American and enjoy biology class as a teenager. On the discussion list of the International Society of Genetic Genealogists (ISOGG), Debbie Kennett, author of DNA and Social Networking: A Guide to Genealogy in the Twenty-First Century, posted about the book, Testing Treatments: Better Research for Better Health Care, second edition, by Imogen Evans, Hazel Thornton, Iain Chalmers, and Paul Glasziou (London: Pinter and Martin Ltd., 2011). The foreword of the book is written by Ben Goldacre, author of the book Bad Science (New York: Faber and Faber, 2010; several other editons and publishers also available) and his blog of the same name. The Testing Treatments website has links for ordering the print version of the book. It includes a link allowing the full version to be downloaded as a PDF. After perusing the PDF, I expect to order the print version I can hold in my hands for a leisurely read on the sofa. How does this relate to genealogy? Through common research processes and my interest in using DNA for genealogical purposes. Throughout the book there are discussions of systematic review and looking at the totality of evidence. Discussion of assessing all the relevant, reliable evidence (emphasis added) begins on page 94. Discussion on how to recognize "vested interests and spin in systematic reviews" begins on page 98. "a reasonably exhaustive search for all information that is or may be pertinent to the identity, relationship, event, or situation in question"
where we provide "a complete, accurate citation to the source or sources of each item of information"
then "analyze and correlate the collected information to assess its quality as evidence"
and "arrive at a soundly reasoned, coherently written conclusion." I was first drawn to Testing Treatments so I could better understand the position of the medical community as it relates to Direct To Consumer (DTC) DNA testing. I am adamant about preserving the right to access my genetic data without going through a gatekeeper specified by government regulation. Along with other ISOGG members, I'm keeping an eye on what the international, U.S., and state legislatures and parliaments are doing as far as hearings and legislation related to DNA testing. I don't want ancestral DNA testing getting caught up in the same kind of legislation that is leading to many states closing access to vital records because they have erroneously been convinced it is a main cause of identity theft. The portions of chapter four related to genetic tests offer some sensible cautions. We don't yet fully understand all of the interactions between our genes and our environment. But if we don't do DNA testing and analysis we won't ever understand those interactions. Maybe knowledge of genetic predispositions would make some people more fearful. I would suggest that person shouldn't have the test done. But I don't think I should be restricted from spending my own money on a test of my choosing because some other person "might" not take the time to learn what the test results may or may not mean with the knowledge we have. So many people today tout how the free market can cure all the economic ills of the world and all government regulations should be abolished. While I don't agree with that sentiment, I also don't think unnecessarily restrictive regulations should be enacted. We need to find the middle ground this country used to be proud of—striking a balance as discussed on page 48 of Testing Treatments—enough regulation to keep charlatans from abusing the uninformed public without restricting the rights of informed parties to as much information as they wish about their own bodies and genetic makeup. In addition to seeing the similarities in genealogical, medical, and other kinds of research, I learned a lot from Testing Treatments about medicine and modern pharmaceuticals that will help me make better decisions as I am inevitably confronted by problems of aging. This book is worth your time reading for many reasons. I hate it when two events I really want to attend happen at the same time. But two great conferences will be held in Houston during the first weekend of November. The Texas State Genealogical Society (TSGS) Annual Conference and the Family Tree DNA (FTDNA) Project Administrator's Conference. The TSGS conference starts on Thursday, November 3, with a writing workshop by Paula Stuart-Warren, CGSM, sessions at Clayton Library on using FamilySearch.org, and an ice cream social. Free to the public, the vendor hall will be open on Thursday evening with many booths of interest to genealogists and historians: book vendors like Maia's Books, the Texas General Land Office, and many others. Three different tracks of sessions are offered on Friday covering many topics, including one I will present on DNA and genetic genealogy. It will cover basics of Y-DNA, mtDNA, and autosomal DNA testing. Other sessions on Friday include Civil War, Hispanic research, African American research, school records, the Texas General Land Office, artifacts, foreign records, immigration, and special collections of the Houston Public Library system including Clayton Library Center for Genealogical Research. The Lone Star Chapter of the Association of Professional Genealogists (APG) will be offering free one-on-one consultations on Friday to help solve your genealogical problems. You can come prepared for a consultation by reading about the process and bringing a form with you, or get a form at the Lone Star Chapter of APG booth after you arrive. Appointments are assigned on a first-come, first-served basis. Online registration for the TSGS conference is available at txsgs.org and a PDF copy of the brochure can be found at the main TSGS website. The FTDNA conference is open to project administrators and guests. The registration page is available through the Group Administrator Pages. Full disclosure: I am the DNA project administrator of the TSGS TXStateGS project at FTDNA and the president of the Lone Star Chapter of APG. Some expenses related to the TSGS conference may be reimbursed by TSGS or Lone Star Chapter of APG. In addition to the Boston University, Certificate Program in Genealogical Research, here's another great reason to appreciate living near Boston. The Boston Early American History Seminar is open to the public and free (unless you pay the reasonable fee of $25 to receive advance copies of the papers to be discussed and to support the buffet supper served after meetings). This forum for early American history has several sessions of particular interest to genealogists. Also notable is the interest of these professors in both history and genealogy. 6 December 2011, 5:15 p.m.
"At The Magistrate's Discretion: Sexual Crime And New England Law, 1637-1718"
"collaborating with Dr. Ella Wilcox Sekatau, medicine woman, ethnohistorian and genealogist of the Narragansett Tribe, on a project to re-tell New England history using both Euro-American and Narragansett sources"
6 March 2012, 5:15 p.m. 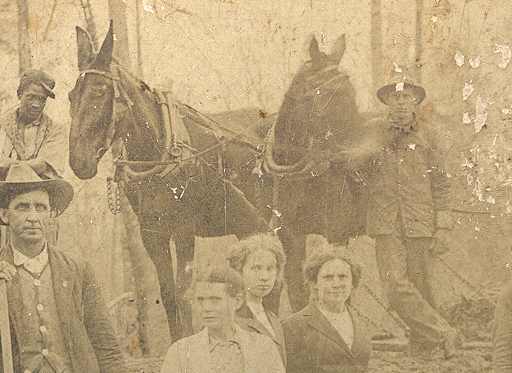 The Texas State Library and Archives Commission (TSLAC) will host a Genealogy After Dark event on Friday, October 21, from 6:30 p.m. until 12:00 a.m. At the same time, the West Waco Library Genealogy Lock-In will be held. Attendees in Waco will have access to resources in the state library and those in Austin will have access to resources in Waco. The Lone Star Chapter of the Association of Professional Genealogists (APG) will be providing free consultations during the event. A test is now being performed to see if the professional genealogists in one location can offer consultations to attendees in the other location using tools like Skype. It should be an interesting event. According to this Central Texas Genealogical Society page the event there will include "the traditional training and informational resources of past years. All the computers in the library will access the genealogical sites and there will be ample help from volunteers and staff for research all evening." You can sign up for e-mail notifications from the Texas State Library at this page to learn about events even before the forms are posted on their website. I attended the Genealogy After Dark event in February and it was wonderful to have access to all of the library and archive resources with one-on-one help available from the librarians and archivists who stayed after hours just to serve the patrons. For more information on the Lone Star Chapter of APG and chapter events such as the Ancestor Roadshow consultations see this page. The chapter provides the free consultations as a community outreach program to assist researchers in furthering genealogical research. Sam Worby, Law and Kinship in Thirteenth-Century England (Woodbridge, Suffolk, UK: Royal Historical Society/Boydell Press, 2010); 198 pp. $95.00 (cloth), ISBN 978-0-86193-305-1. The Amazon link is here. A Google search on the book title turns up some other interesting reviews and comments. And I am very thankful for previews on Google Books. My first response was that this was pricey for my personal library since I haven't traced any ancestors back to medieval England yet. But the reviews and the preview on Google Books make it very enticing. The nearest library with a copy, according to WorldCat, is 120 miles away in a location where I don't have anything else to do. My recent studies have focused on Spanish influences in historical Texas laws. Hmm, maybe reward points will bring this down to a price I can justify because I need to learn more about canon and English common law. A particularly dangerous term in any exploration of medieval kinship is the word cousin since it can be used both specifically and vaguely to encompass a general sense of relatedness ... Cousin could be used as a word for almost any kinsman, but could also be a term of art (p. 6). Maybe I'll write a review from a genealogist's point of view after I read the book.